Financial Aid is any source of funds available to assist you in meeting the costs of your college education. Applying for financial aid doesn't need to be stressful. 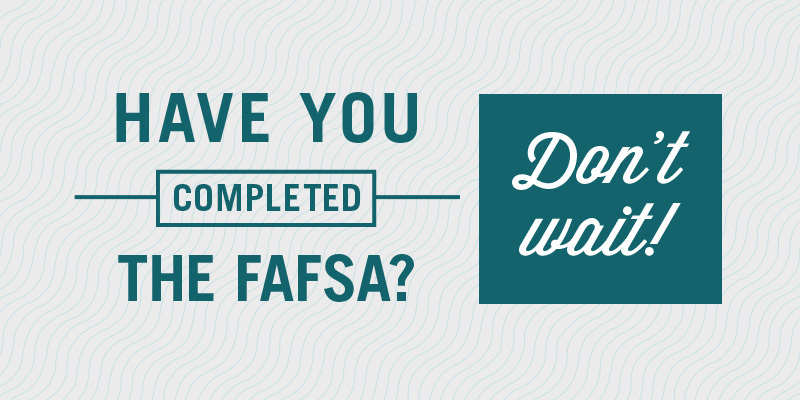 Completing the Free Application for Federal Student Aid (FAFSA) is the first step in receiving a financial aid award. Your financial need determines your eligibility for financial aid. Financial need is calculated by subtracting your Estimated Family Contribution (EFC) from the Cost of Attendance (COA). For priority consideration of limited need-based federal, state, and institutional funding, the FAFSA application should be filed by the established priority deadlines of January 1(fall), October 1 (spring) and April 1 (summer). You will be notified of your financial aid award package once we receive the results of your FAFSA and other required forms. Summer financial aid requires an additional online application and is based on your remaining eligibility for the academic year. If you borrowed your annual loan limit during the preceding fall and spring semesters, the parent PLUS loan (dependent students only) or a private/nonfederal loan may be an option. Students classified as non-degree auditors, special students, or visitors are not eligible for financial aid. Instead, they can consider private/non-federal loans. Audited courses are not eligible for Title IV aid, nor are courses that are repeated for the second time.